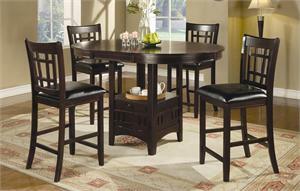 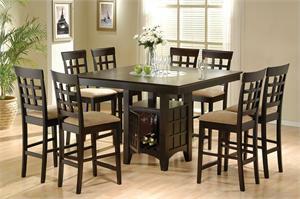 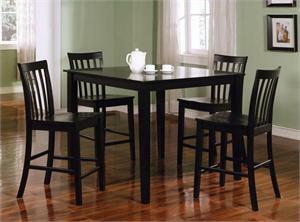 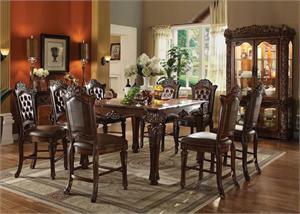 Beauty, function and form is provided with this counter height dining table with seating for up to four. 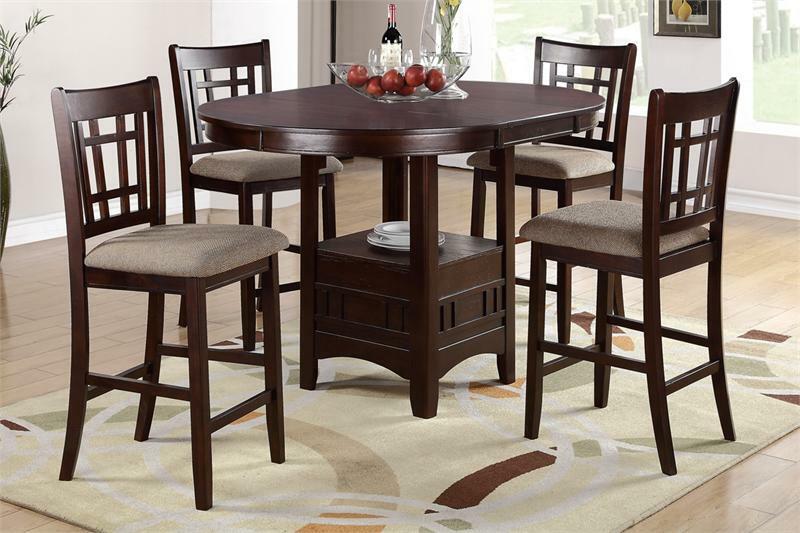 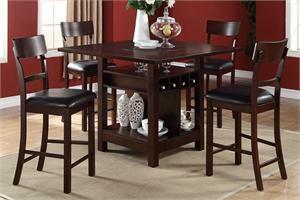 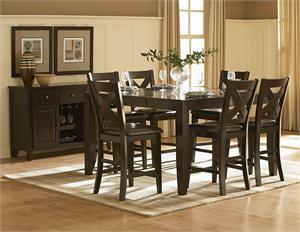 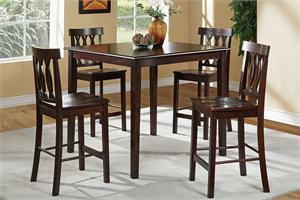 Covered in a dark rosy brown finish,counter height table features one 18" Leaf,up to 60" length for more space. 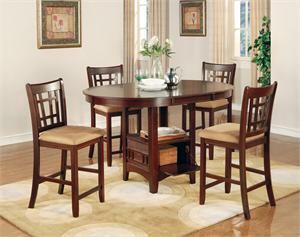 Counter height chairs sold as a set of 2.